Can you ever be too young to realise you are lesbian, gay, bisexual or transgender? Is there a right time to come out as LGBT? In a new episode of PinkNews series Ask the Aunties, our fabulous queer agony aunts answer your LGBT-related dilemmas. Queer agony aunts Lee Gray and Karnage Kills respond to a dilemma sent in anonymously by a reader worried about whether there is ever a good time to come out as transgender or non-binary. When do most people realise they’re LGBT and is there such a thing as being too young or too old? Is there a right age to come out as LGBT? How old should you be? Lee said: “I would probably say no–obviously I’m a cisgender man so I’ve never had that experience but speaking to people who are trans and non-binary and are friends of mine, I would say the answer is no. “Everybody has their own journey. Some people might identify as trans and non-binary at a very early age and some might identify very late. Karnage agreed, adding that parents should allow children to express their gender in whatever ways they feel comfortable. He said: “I was always thankful of that, my mum never did that to me. “I don’t think we should suppress anybody. Children should be able to express themselves, I just think it makes for a happier individual. 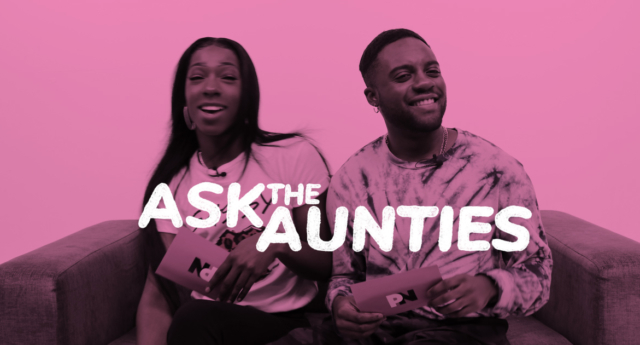 Ask the Aunties is an original PinkNews series. From dating to telling your pals your pronouns, no dilemma is left unanswered. The previous episode answered a dilemma from a young person considering coming out.